At Cohen Fineman, LLC, we handle a broad range of commercial litigation matters for clients from Burlington County, Camden County, Gloucester County, throughout New Jersey and areas of eastern Pennsylvania. We understand the financial burden and opportunity cost associated with commercial litigation and strive to achieve our clients’ goals quickly and efficiently. While we strive to resolve business disputes through negotiation and settlement, we prepare every case for the possibility of going to trial. This assures that we are always prepared and operating from a position of strength at the negotiating table. Contact us today online or by telephone at (856) – 304 – 0699 to arrange a consultation with an experienced South Jersey commercial litigation attorney. Whatever business litigation or business law matter you face, our attorneys will work with you closely to devise a legal strategy that suits your needs. 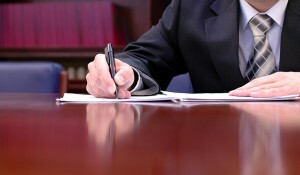 If you need an experienced commercial litigation attorney in New Jersey or eastern Pennsylvania, we are here for you. Contact us today online or by telephone at (856) – 304 – 0699 to arrange a consultation with a skilled South Jersey commercial litigation attorney.